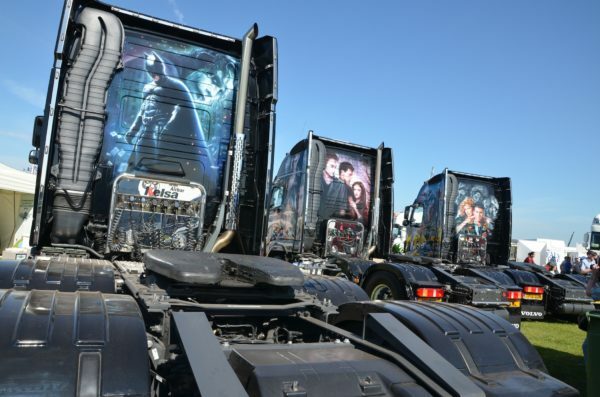 Peterborough continues to reign as the flagship trucking event of the year – with another monster show enthral, entertain and excite visitors in 2019. 2018 saw the largest Truckfest event yet at the East of England Showground, with over 2500 trucks in attendance and superb manufacturing stands from the likes of Mercedes, DAF, Renault, Volvo, Iveco and Scania, and the addition of our Indoor Exhibition Hall with the best custom vehicles on display from around the UK and beyond. 2019 promises to be a great family fun day out, with this year guests from television series Outback Truckers join us to meet and greet fans, an extensive family fun fair on site, inflatable kids zone and get the chance to meet children’s characters too! PLUS expect high octane action in our Main Arena from Monster Trucks Swamp Thing 4×4 and Slingshot, as well as stunt bike displays, and live music on the Plaza. Camp over for the weekend or visit for the day, all details and tickets can be found on www.truckfest.co.uk.